The 18-hole Rolling Hills Golf Club - Challenge in Stouffville, ON is a public golf course. Rolling Hills Golf Club - Challenge measures 4884 yards from the longest tees and has a slope rating of 91 and a 60.9 USGA rating. The course features 2 sets of tees for different skill levels. The 18-hole Rolling Hills Golf Club - Championship in Stouffville, ON is a public golf course. Rolling Hills Golf Club - Championship measures 6341 yards from the longest tees and has a slope rating of 120 and a 69.6 USGA rating. The course features 3 sets of tees for different skill levels. The 18-hole Rolling Hills Golf Club - Classic in Stouffville, ON is a public golf course. Rolling Hills Golf Club - Classic measures 4010 yards from the longest tees and has a slope rating of 91 and a 59.2 USGA rating. The course features 2 sets of tees for different skill levels. The 18-hole Spring Lakes Golf Club - East in Stouffville, ON is a private golf course that opened in 1976. Designed by Rene Muylaert, Spring Lakes Golf Club - East measures 6910 yards from the longest tees and has a slope rating of 124 and a 72. The 18-hole Granite Golf Club in Stouffville, ON is a private golf course. Granite Golf Club was designed by Thomas McBroom. 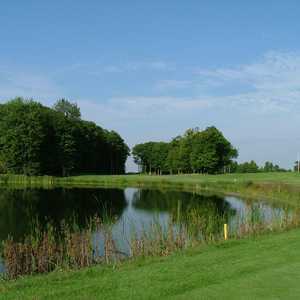 The 18-hole Spring Lakes Golf Club - North in Stouffville, ON is a private golf course that opened in 1980. 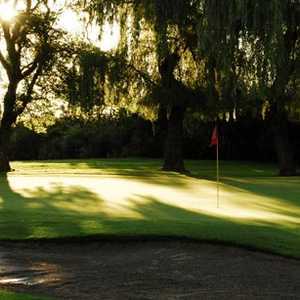 Designed by Rene Muylaert, Spring Lakes Golf Club - North measures 6352 yards from the longest tees and has a slope rating of 132 and a 70. 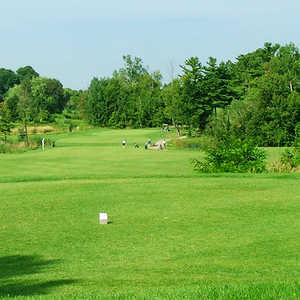 The 9-hole Emerald Hills Golf Club - Parkland Course in Stouffville, ON is a private golf course. Emerald Hills Golf Club - Parkland Course measures 3531 yards from the longest tees. The course features 6 sets of tees for different skill levels. The greens are bent grass. Royal Stouffville Golf Course, located just north of Toronto in Stouffville, has a nine-hole executive course in addition to its 18-hole, championship course. The Executive Course offers similar challenges to the more demanding championship course, but the shorter length makes it ideal for beginners. The 18-hole Sleepy Hollow Country Club in Stouffville, ON is a private golf course that opened in 1960. Sleepy Hollow Country Club measures 6222 yards from the longest tees and has a slope rating of 128 and a 69.7 USGA rating. The course features 3 sets of tees for different skill levels. The 18-hole Spring Lakes Golf Club - South in Stouffville, ON is a private golf course that opened in 1993. Designed by Rene Muylaert, Spring Lakes Golf Club - South measures 6398 yards from the longest tees and has a slope rating of 124 and a 70. The 18-hole St. Andrew's East Golf & Country Club in Stouffville, ON is a private golf course that opened in 1989. St. Andrew's East Golf & Country Club measures 6805 yards from the longest tees and has a slope rating of 142 and a 74 USGA rating. The 9-hole Emerald Hills Golf Club - Valley Course in Stouffville, ON is a private golf course. Emerald Hills Golf Club - Valley Course measures 3354 yards from the longest tees. The course features 6 sets of tees for different skill levels. The greens are bent grass.